Very early this morning the artwork at the 5Pointz was whitewashed over at the urging of Jerry and David Walkoff, the landlords of the building. 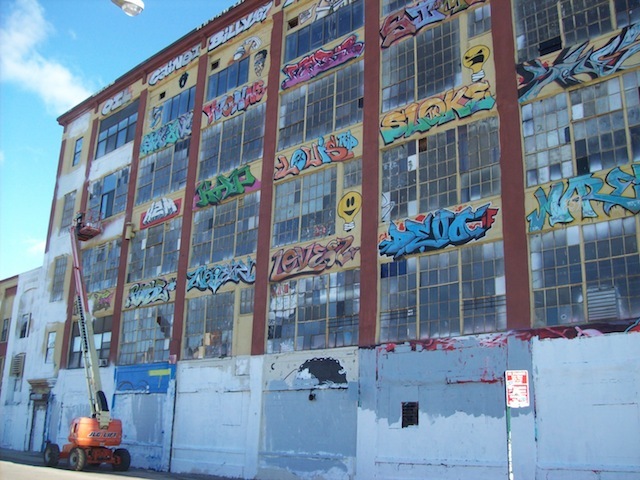 5 Pointz has become a canvas for Graffiti artists. Last week a federal judge in Brooklyn denied a temporary injunction petition by artists seeking to save the building from demolition. In an interesting twist, this whitewashing may be considered an act of intentional mutilation and destruction, and may in fact make VARA claims for these artists more likely to succeed—particularly if the intentional destruction of these works can be shown to prejudice the honor and reputation of specific individuals. The whitewashing was certainly done in a direct way to preclude further legal action, but it may have only emboldened opponents and demonstrated some really egregious bad faith on the part of the building owners.